eToro is a social trading and multi asset brokerage company regulated in Cyprus by the Securities & Exchange Commission (CySEC) and in the UK by the Financial Conduct Authority (FCA). It was founded in Tel Aviv in 2007 by brothers Yoni and Ronen Assia and has grown into a global leader of social trading and investment with over 4.5 million users in more than 170 countries. eToro’s aim is to make the financial markets accessible to more people and in order to achieve this goal they offer a fully integrated solution: broker and social network. 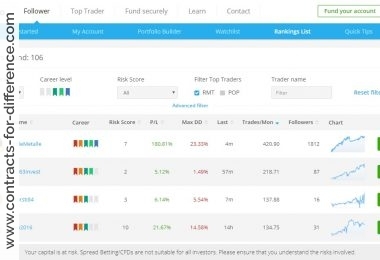 In a nutshell, this means that clients can use eToro to trade, connect with other traders and investors, discuss trading strategies and automatically copy the portfolio performance of traders of their choosing. – Cadet has a minimum of $1,000 in deposits, minimum average monthly of $500 and up to 50 copiers. He earns a revenue share – 25% of commissions made by the new clients introduced by him to eToro via an unique affiliate link, regardless if they copy him or not. – Rising Star has a minimum of $5,000 in deposits, a minimum average monthly equity of $1,000 and at least 50 copiers. He earns as the Cadet + $350 monthly and a 10% spread rebate. – Champion has a minimum of $5,000 in deposits, a minimum average monthly equity of $5,000 and at least 250 copiers. He earns a revenue share of 30%, + $1,000 monthly and a 50% spread rebate. – Elite has a minimum of $20,000 in deposits, a minimum average monthly equity of $10,000 and at least $300,000 in AUM (Assets under Management). He earns a revenue share of 30% + 2% of annual AUM (paid monthly) and a 100% spread rebate. All Popular Investors must have a maximum Risk Score (proprietary eToro metric) of 6 (from a 1-10 scale). 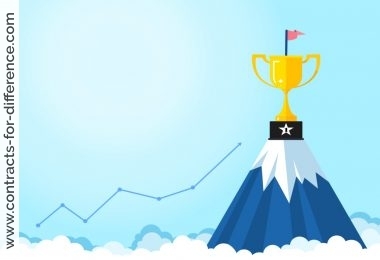 Champions and Elites also get premium account benefits such as personal Payoneer card, personal account manager, special deposit bonus and other promotional offers. 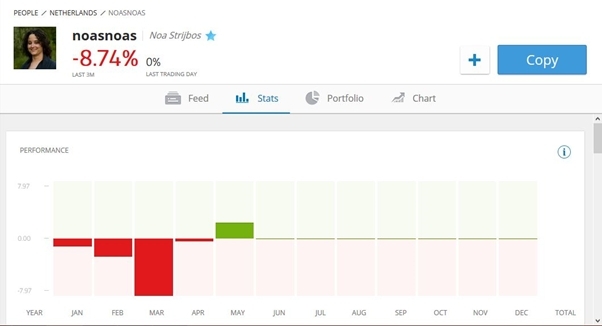 On eToro, traders’ deals get automatically posted on their profiles, or as they refer to them ‘walls’, and other individuals on the platform can automatically allocate a part of their portfolio to following their strategies. This kind of copy trading theoretically turns every trader into a micro-mutual fund that can be invested in by others. 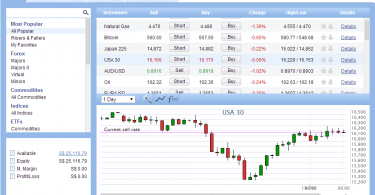 If you want to find out more or interact with a specific trader, just click on his or her profile. The Feed tab gives you the feeling of a totally open and transparent social network. You can read the latest comments and if you feel like it, add some of your own or like other people’s comments Under Stats tab you can see detailed statistics of the trader’s performance, data about the copiers number evolution over the past 7 days and total AUM. The Portfolio tab shows the trades currently open and the past trades over the last year. The Chart shows how a hypothetical $1,000 copy account would have fared over the last 12 months. You can start copying with as little as $100 and at any given time you can copy up to 20 different investors. 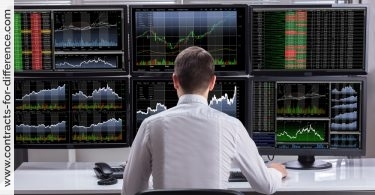 The CopyTrader system gives you 2 options for copying: 1. copy all trades, including the already open positions( which will be opened with the market rates available at the time of copying, not those at which the original trades were opened) 2. copy only new trades, meaning that only trades opened after the copy action started will open in your account. A very important risk management tool is represented by the Copy Stop Loss (CSL) feature. Set by default at 40%, you can manually adjust it from 5% to 95%. This means you always control the maximum percentage of copy balance that is at risk. For instance, if you copy Popular Investor A with $1,000 and set CSL at 50%, the moment your current equity, including the profit/loss over all trades drops to $500, the whole copy account is closed. You can buy a CFD contract with x1 leverage which is basically a stock (no leverage). No minimum fee amount – so say you put in $100 into a Google share that is trading at $800 in the real market. Customers are allowed to risk only 20% of their total equity copying any one trader and an account can be opened for as little as £30. Trading can be a lonely business but with eToro you can put something on your wall and someone will comment on it. 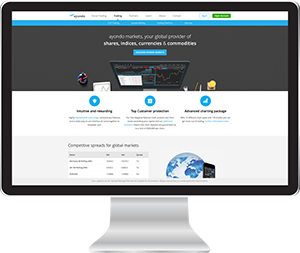 Wide Spreads – the gap between the buy and sell price – on eToro can be more expensive than with well-known cfd trading operators such as InterTrader. They have ridiculously increased their fees so that you can be sure that every week you will lose pretty much every day, especially on Wednesdays. Wednesday is the day that they, without obvious reason, have selected as “the end of the week” hence the fee on Wednesdays can be as much as 5-6 times of the other “daily fees”. If you are attracted by the top guns at eToro, beware that many of these top traders don’t set stop loss orders in their dealings. They will commonly keep holding losses for hundreds if not a thousand pips in their open positions. And to make it worse, now you cannot take over those ‘copied tradings’ so that once you have copied one “guru”, the possibility that you will lose all the money you allocated to that “guru” is next to certainty. Conclusion: There are no fees to use eToro, the only costs being the spreads and the charges to hold overnight positions (both higher than most brokers). The simple, game-like user interface and integrated social network functionality might lead clients to believe that trading is easy and fun. Nothing can be further from the truth. It can also give the wrong impression that even though you’re a novice, making money is as easy as clicking Copy. There probably are good traders on eToro, but it takes some time and skills to find them. In the meantime, don’t forget the ubiquitous disclaimers: ‘past performance is not necessarily indicative of future results’ and ‘CFD trading carries a high level of risk and can result in the loss of all of your investment’.